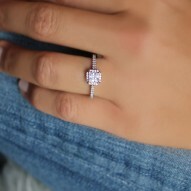 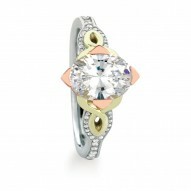 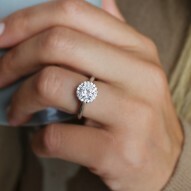 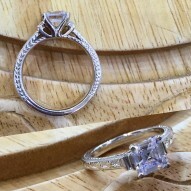 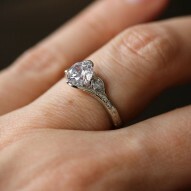 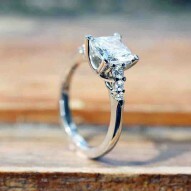 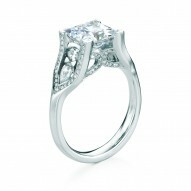 Square princess-cut engagement ring, named after the Scottish island of Vaila. 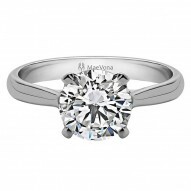 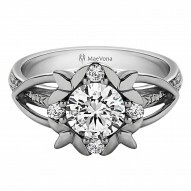 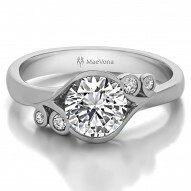 Vaila is MaeVona's Signature Solitaire, featuring MaeVona's unique MV logo as side detail on the setting. 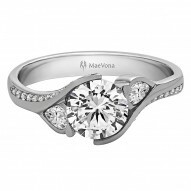 Neatly tailored split-shank features 0.25ct H-SI stones, consisting of two marquise-cut accent diamonds with pave diamonds along the top of the shank. 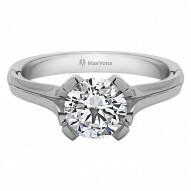 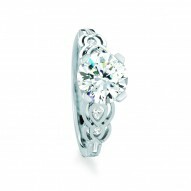 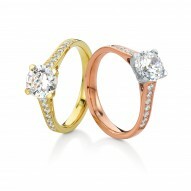 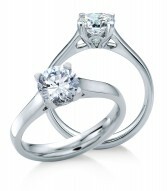 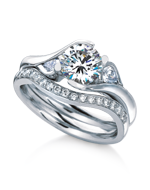 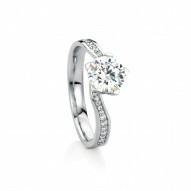 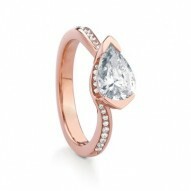 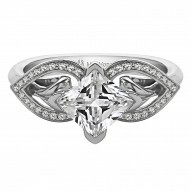 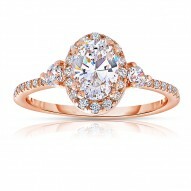 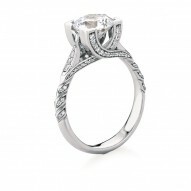 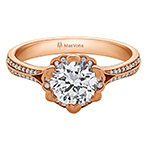 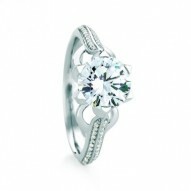 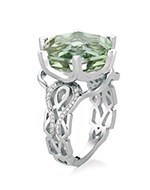 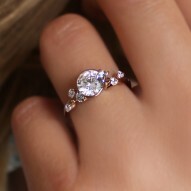 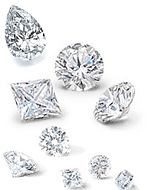 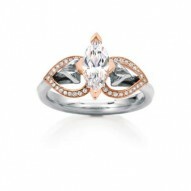 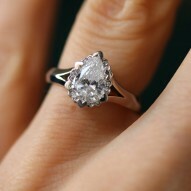 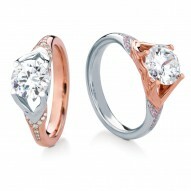 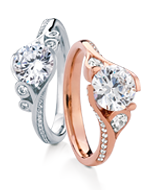 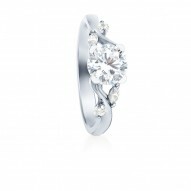 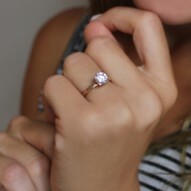 Priced with 0.25ct H-SI Marquise and round pave diamonds as well as without the 1.0ct princess center stone.